5 Days “Action Getaway” Are you ready? 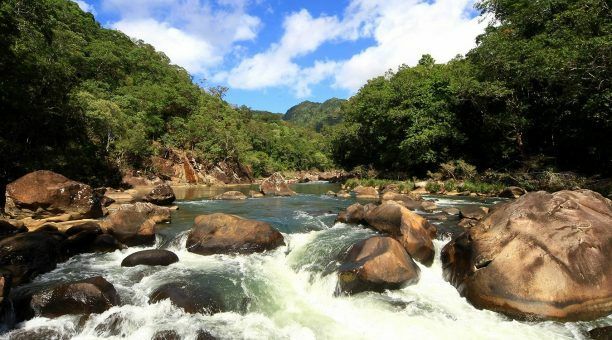 On this Action Getaway, spend 5 days in the beautiful Cairns region. 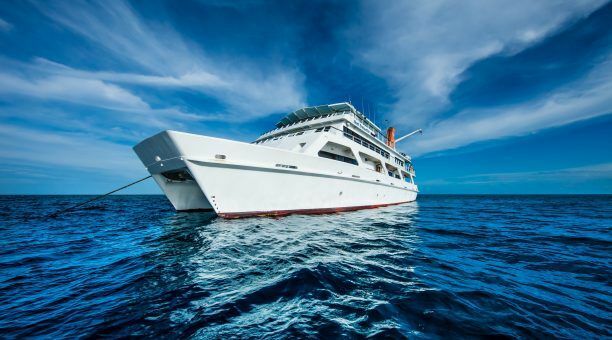 Enjoy a spectacular 2 days and 1 night on one of the natural wonders of the world, Australia’s Great Barrier Reef. Spend 1 day White Water Rafting through the World Heritage Rainforest on the mighty Tully River. 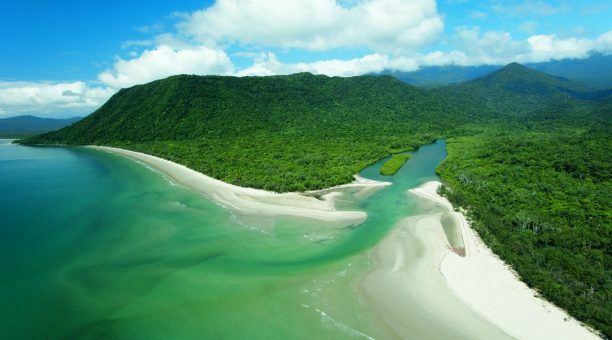 Cool off for 2 days and 1 night in Cape Tribulation. This fun filled 5 Day Action Getaway package can be done in any order and you can also have a days break in between if you wish. 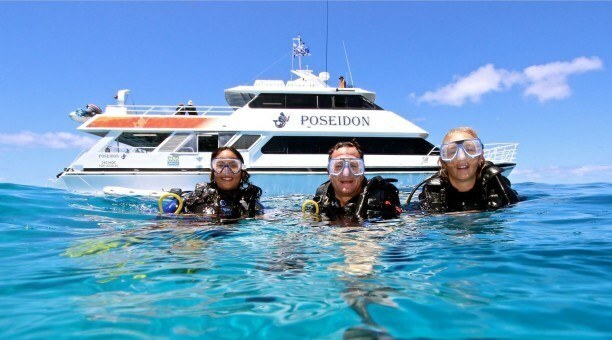 Enjoy 5 day dives & 1 night dive at beautiful Outer Great Barrier Reef locations. A great choice for a certified scuba diver. 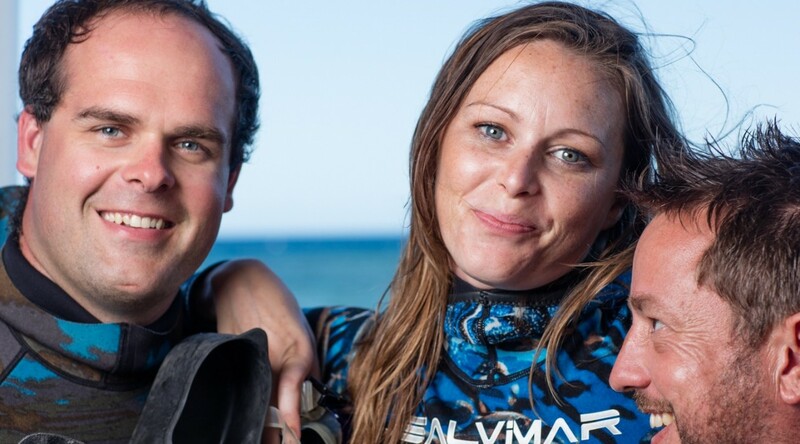 All scuba divers know you can’t miss the night dive! 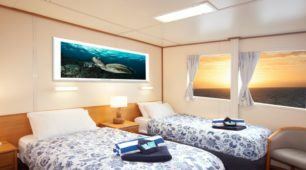 Enjoy the sunset and sleep on the reef. 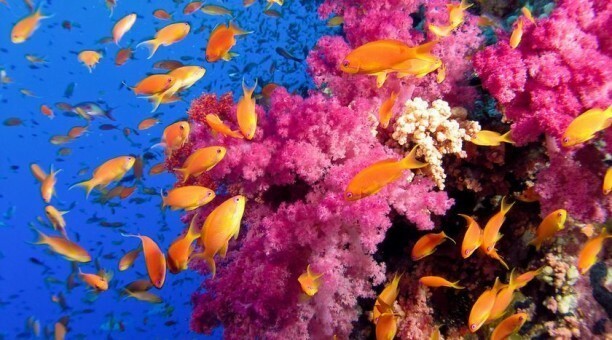 There is time to really to enjoy the beauty and uniqueness of the reef and marine life. 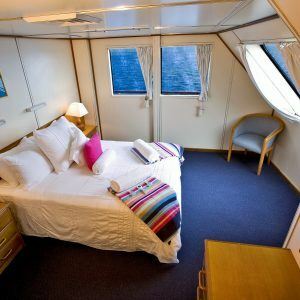 Perfect for those mad keen divers who want to explore everything under the water on the Action Getaway! 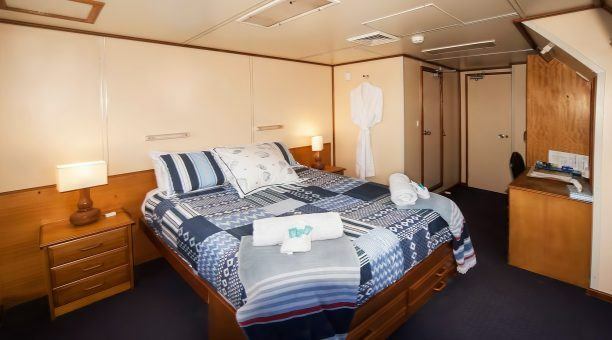 Accommodation is not included on the night of Day 2 when you arrive back into Cairns. 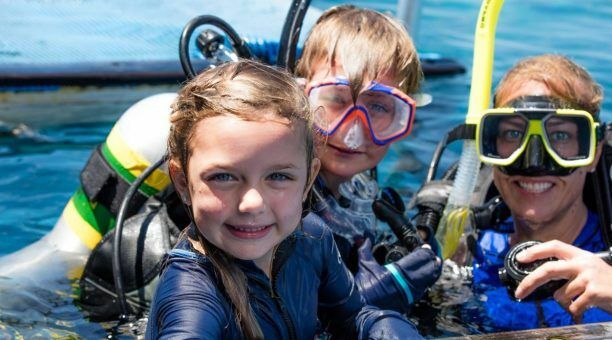 For safety reasons Reef Encounter has a “No Shoe” policy. (There is no need to bring extra pairs of shoes). 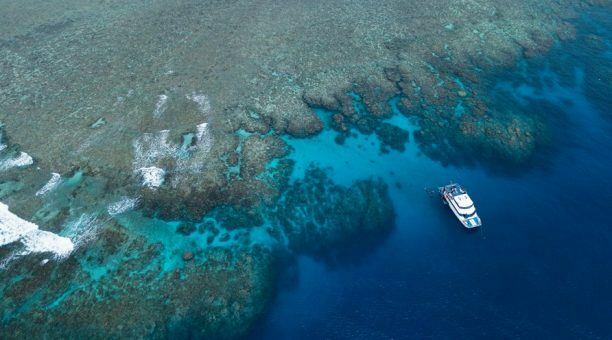 We have a passion to show you Australia’s Great Barrier Reef. 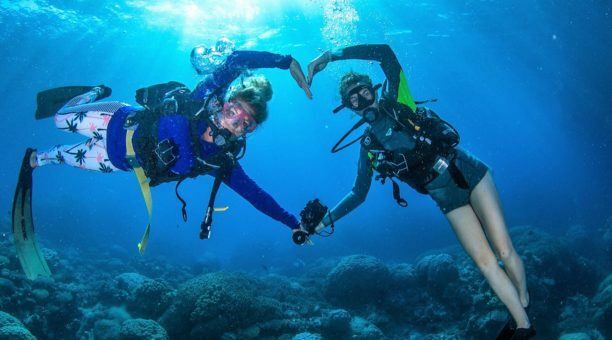 Please make sure you understand the scuba diving laws. 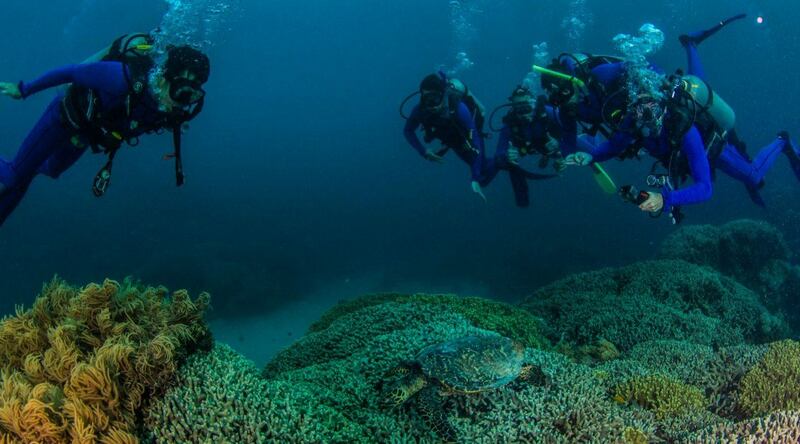 Queensland, Australia has some of the strictest scuba diving rules in the world. It also has the safest scuba diving record. We are regulated by the Queensland Government Code of Practice. We comply with all rules including medical as is the law. 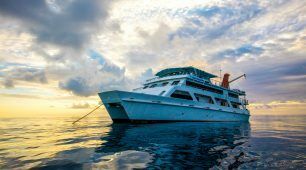 It’s strongly recommended that all of our passengers complete our dive medical questionnaire prior to booking. Some medical conditions, age and / or medications may prevent you from scuba diving. 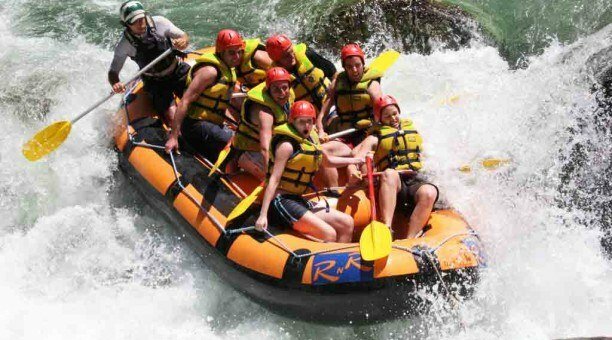 Australia’s most famous White Water Rafting experience. Action packed, filled with fun, thrills and spills on a day you will never forget. 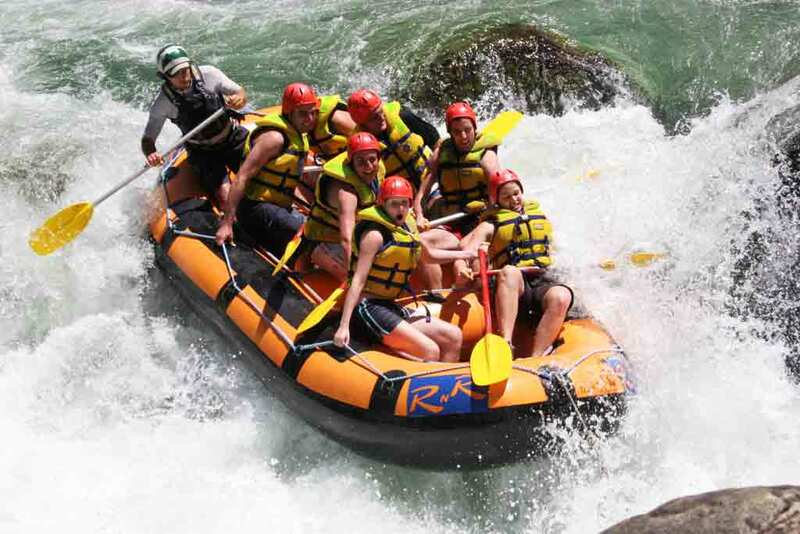 Love every minute of this extreme five hour adventure in remote World Heritage Rainforest rafting down grade 3 and 4 rapids with an unforgettable backdrop. So Much Packed Into 1 Day! You will need to sign an adventure waiver form. A cap or sun visor which can be worn under your safety helmet (eg. baseball hat). Swimming costume, towel (you will need to have your swimming costume already on when you are picked up). Secured footwear is mandatory. Lace-up shoes or sandals that will get wet. (limited shoe hire available at an additional cost). Some money for photos and souvenirs. We strongly recommend you bring an extra t-shirt or rash vest to wear under your life vest to prevent sunburn. Enthusiasm for an Awesome day. under 18 years must travel with a guardian or parent. 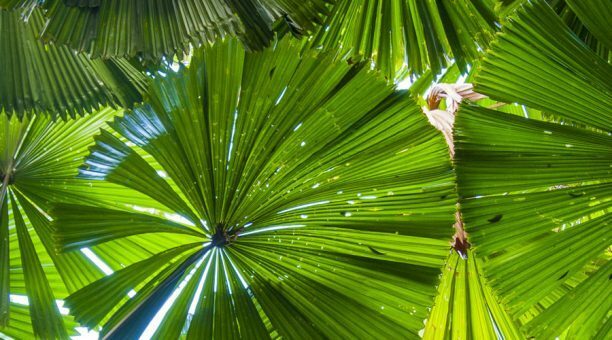 This 2 Day tour takes you to the oldest living Rainforest on the planet. 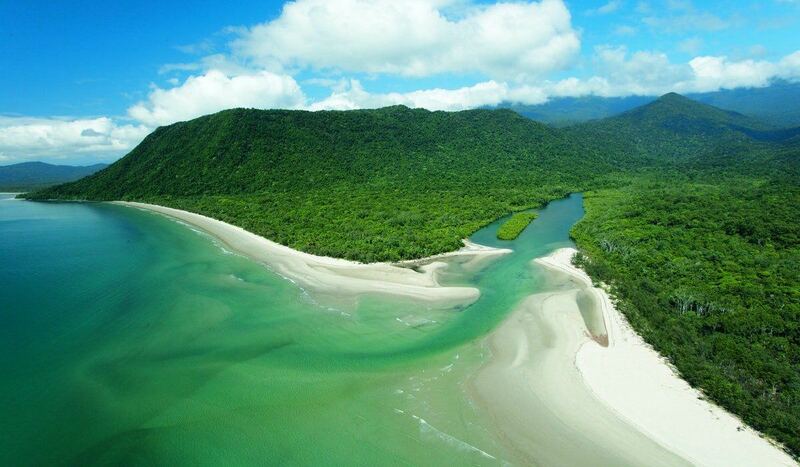 Cape Tribulation is where the Daintree Rainforest meets Australia’s Great Barrier Reef. The only Cape Tribulation 2 Day Tour where the guide stays with you throughout your whole stay. First, discover some of the region’s most incredible scenery. Learn more about the history of the area. Get up close and personal with native critters! After dinner, your guide will take you on a exciting night walk. Find what lies behind the darkness of these ancient forests. As your Action Getaway draws to a close, free time will be available to do some of the great optional activities Cape Tribulation has to offer! Informative guides that stay with you throughout your whole experience. Giving you the most out of this tour. 1 lunch, dinner and breakfast. Port Douglas and 4 Mile Beach. 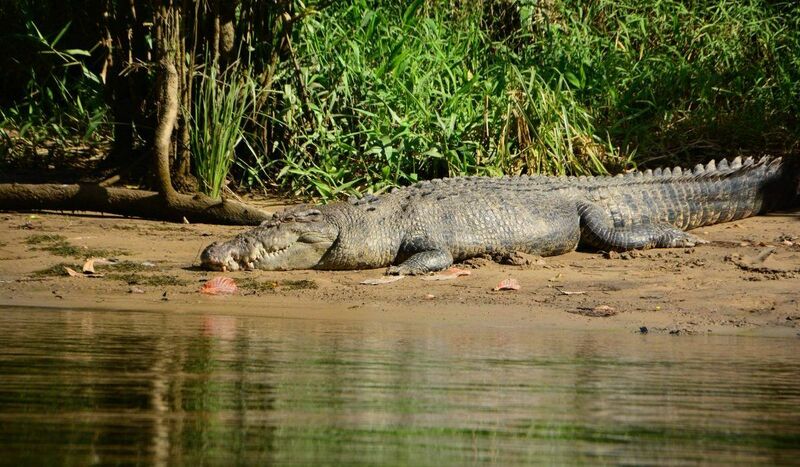 Ferry ride crossing the Daintree River soon you will enter the oldest rainforest in the world! 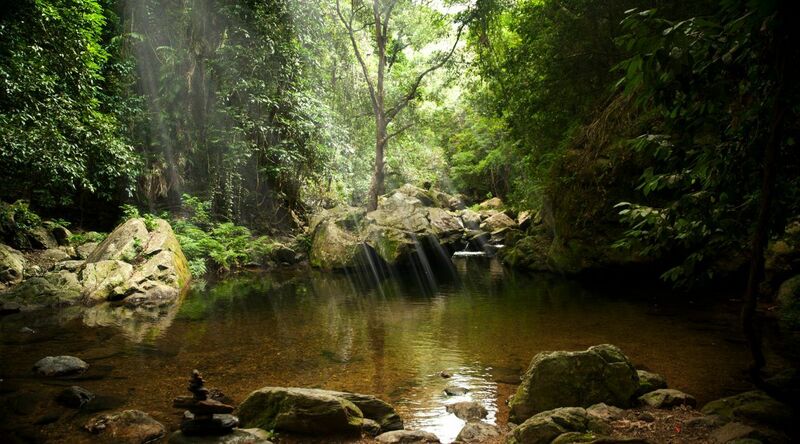 Swim in a rainforest creek. Granite Gorge – rock wallabies. Free time to enjoy or do optional tours. Fun times, great music and top guides! Port Douglas. Stop for a walk and swim at the famous 4 mile beach! Enjoy a boat cruise looking for saltwater crocodiles! 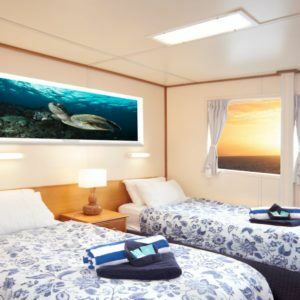 Rare wildlife & ancient rainforest: Cross the Daintree River on the ferry, then hit the wild side and drive through some of the oldest rainforest in the world! 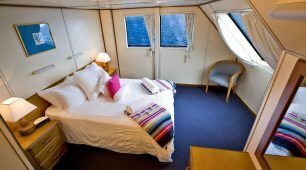 Morning tea, Lunch, Dinner and Breakfast are all included (1 lunch will be at your own expense). Enjoy the beautiful beaches that Cape Tribulation offers. Have the chance swim in pristine rainforest creeks! Sleep in the middle of the rainforest in shared accommodation. 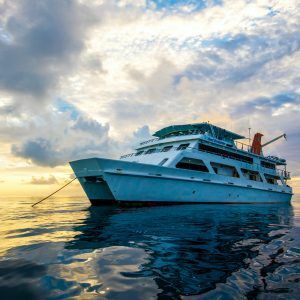 Free Time: This two day trip gives you free time on day 2 to do optional activities like a Reef Trip, Horse Riding or Zip Line through the Rainforest, enquire for more information. Travel through to the edges of the outback and see huge termite mounds and hand feed rock wallabies in the wild. Time to head home via two very beautiful lookouts and enjoy tunes as we head back into civilisation. 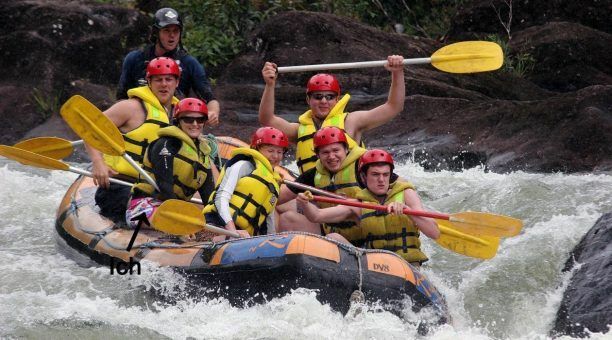 The only fully guided 2 day tour to the oldest Rainforest in the world!